Males, a high “dreep,” females a low quack. Description: Very small. Male has chestnut colored head with dark green behind eye, breast buff colored with dark speckles, obvious vertical white stripe in front of the folded wing, with gray sides. Female brown with light speckles. 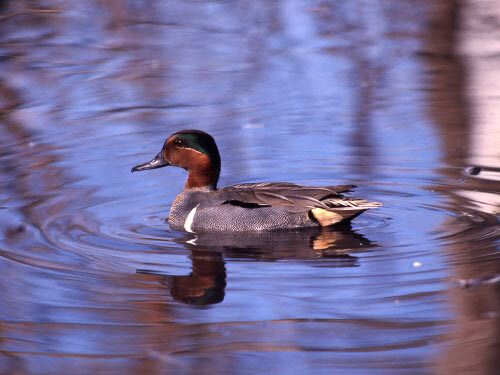 Habitat: During migration Green Winged Teal use flooded fields, meadows, ponds, lakes and sometimes streams. 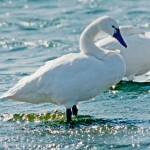 Breeding occurs on ponds that are surrounded by a mix of grassland and sedges. 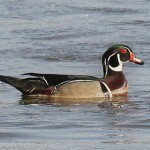 Where in Nebraska: Common, locally abundant, regular spring and fall migrant across the state. 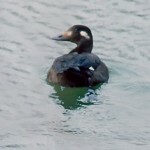 A rare regular breeder in the north-central portion of the state. Rare casual summer visitor statewide. Nebraska Seasons: Best time to view large numbers is March and late September – early October. Fun Facts: The Green-winged Teal is the smallest dabbling duck in North America.